Americans have what can only be called the sweetest teeth on the planet. They eat so much confectionary that the industry is literally worth billions of dollars, generating over $5 billion dollars in 2016 alone. What’s the most popular candy bar in America? Surprise! Maybe not, but M&Ms have been around since 1941 and have been through a world war carried all they way to space. Whether you’re young or old, married or single, this is probably your favorite candy. Explains a lot really. The company generated $406.7 million in 2016, selling $417.7 million units. Harry Burnett Reese was a former employee of Milton S. Hershey who broke away to start his own business. 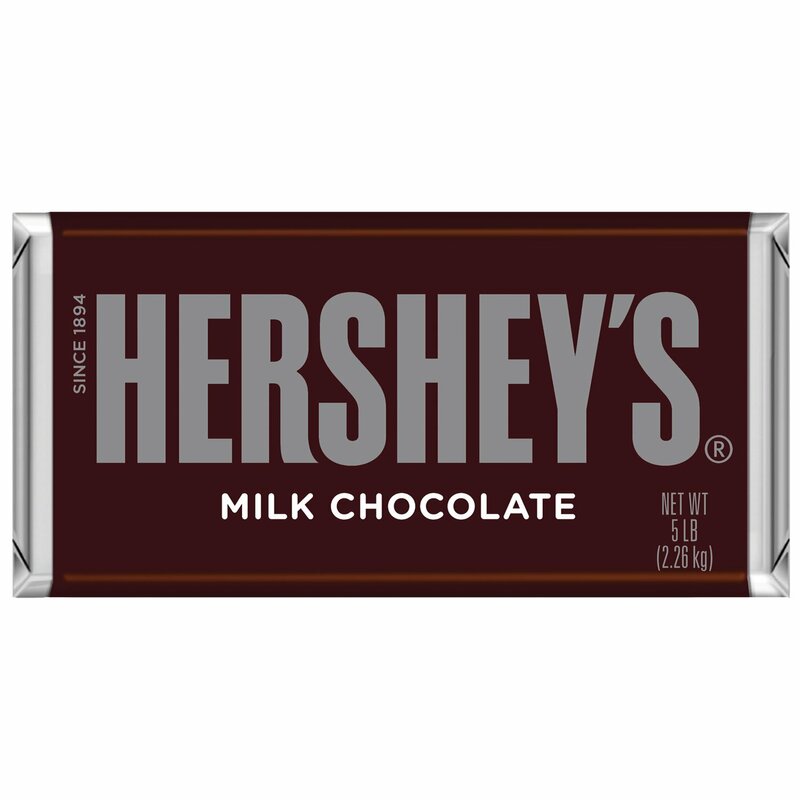 The product was a hit countrywide until Hershey bought the company for $23.5 million. It’s still a hit all these decades later, generating $23.5 million in 2016, from the sale of 366.2 million units. Mars, who own Snickers, call it the world’s most popular chocolate bar, but it’s kinda the third in the US. Anyway, it’s a 1930 invention named after the Mars family’s favorite horses, with 99 tons of peanuts used to make an approximate 15 million Snickers a day. They generated $386.2 million through the sale of 405.3 million in 2016. Next on the list is Hershey himself. Presenting one of the oldest candy in America, it was first made in 1900 (guess by who). Originally made so everyone could enjoy milk chocolate, they generated $249 million through the sale of 264.6 million units a year. Coming in as the first foreign invention, the KitKat was launched in 1935, by the name Chocolate Crisp in Britain. The company was bought out by Nestle in 1988 and produces over 202.5 million units for over 70 countries, excluding the US, where it’s licensed to Hershey. This huge chunk of crispy peanuts, velvet caramel, and fudge covered in chocolate has an interesting tale behind its name. The story goes that back in 1921, there was a boy who would come flirt with the girls who worked at the company. They would tease him, calling out ‘Oh, Henry!’. The name caught people’s curiosity and the bar is one of America’s favorite till today. Originally, this bar was known as Kandy Kake, before being renamed Baby Ruth in 1921. The name is supposedly a tribute to President Grover Cleveland’s daughter Ruth, but experts widely speculate that it’s a cover story to hide the fact that the corporation was trying to cash in on the popularity of one of baseball greatest – George Herman “Babe” Ruth without having to pay him his dues. This candy was introduced in 1932 and was made of three different pieces of candy – chocolate, vanilla and strawberry (hence it’s name). It later ditched the vanilla and strawberry (strawberry chocolate, really?) and now takes pride in its world renown name. In truth, though, how many candy bar brands can actually boast using literary characters for their marketing? This bar, made from delicious chocolate malt-flavored nougat and caramel, then covered with milk chocolate was the first brand to be launched by the Mars Company in 1923. It was actually initially called the “Mars bar” everywhere out of the US. Originally, Frank Mars and his son Forrest had the intention of marketing a chocolate malted drink in the form of a candy bar and that bar now sells in three varieties: Midnight, Lite and Original. This candy bar consists of a crunchy blend of butter and peanut butter covered with chocolate. This bar was so insanely popular that for a while, Bart Simpson was the bar’s “spokesperson.” This flaky candy has on sale within the US since the 1920s – a creation of Otto Schnering through his Curtiss Candy Corporation. Fun Fact: They were once marketed by being dropped out of airplanes over cities in 40 states all around the US.